Do you think you may be paying more for your dialtone and Internet services than you should be? Do you suspect your bill may be inaccurate, but are having trouble making sense of it? Do you find it frustrating dealing with your provider because they don't seem to care or are ignoring you? Do you suspect that you could be taking advantage of more current technology but are afraid to explore the options? Does the technical jargon of your service providers confuse you? Would you like to save money and update your service to the latest technology? If you answered "yes" to any of these questions and are located in Arizona, we can help! Many businesses with existing dialtone and data services don't pursue a change in their services because they are afraid it will be too much of a hassle or don't think they can save much, if any, money. In other words, the trouble outweighs the savings. But in our experience, it very frequently is worth doing a comparison, particularly if you have been with your current service provider(s) for more than a couple of years. Fact: Over 70% of companies we consult with are paying too much for their services. 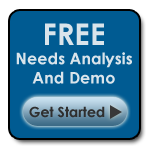 Fact: We specialize in dialtone and data services analysis, and will do so for you at no charge. We do not charge for our dialtone / data consultation services, nor do we charge for telephone support after your services are in place. We are paid directly by the provider. The pricing that we are able to obtain for you from the provider is the same as if you were to approach the provider directly. We never inflate our prices. We will work with the provider to facilitate any future adds, moves, or changes, or for service issue escalation. We'll help you cut through the confusing array of dialtone, Internet, and other data services options -- for FREE.